FC Barcelona recognised in the 70th edition of the Mundo Deportivo’s Grand Gala celebrated at the Museu Nacional d’Art de Catalunya (MNAC) this Monday. 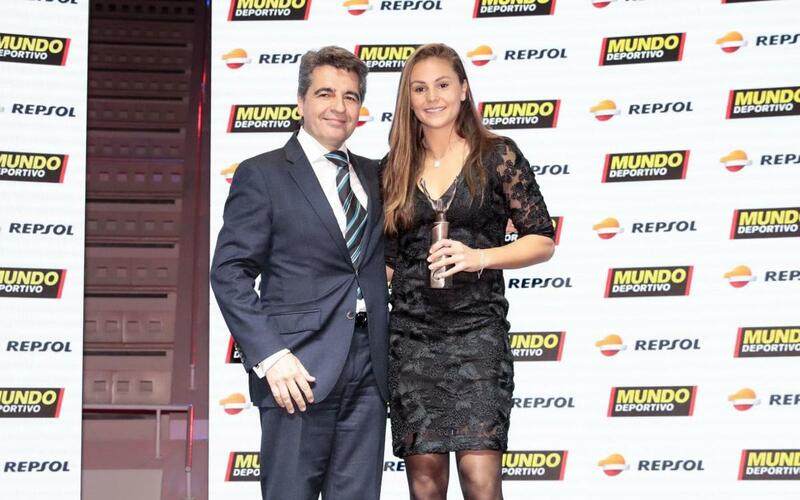 The basketball player Juan Carlos Navarro was given a prize for his sporting career; while FC Barcelona Women player, Lieke Martens, won the award for the best revelation of the season. The third prize of note was given to ex-blaugrana player Gary Lineker as he picked up the Premi Extraordinari. The blaugrana expedition was headed by the President Josep Maria Bartomeu; the Vice Presidents Jordi Cardoner and Jordi Mestre; the commissioner for the Espai Barça, Jordi Moix; and the Directors Joan Bladé, Javier Bordas, Sílvio Elías, Josep Ramon Vidal-Abarca, Pau Vilanova, Maria Teixidor, Enrique Tombas, Oriol Tomàs and Xavier Vilajoana. The event was also attended by the CEO Òscar Grau; and the Director of the First Team’s International and Sporting Relations, Guillermo Amor; the Director of Professional Sports, Albert Soler; and the Technical Secretary Robert Fernández. On the sporting side of things, the Barça Lassa basketball captain, Juan Carlos Navarro, was in attendance along with the Barça Women’s player, Lieke Martens, and the Barça Lassa handball coach, Xavier Pascual and futsal manager, Andreu Plaza.